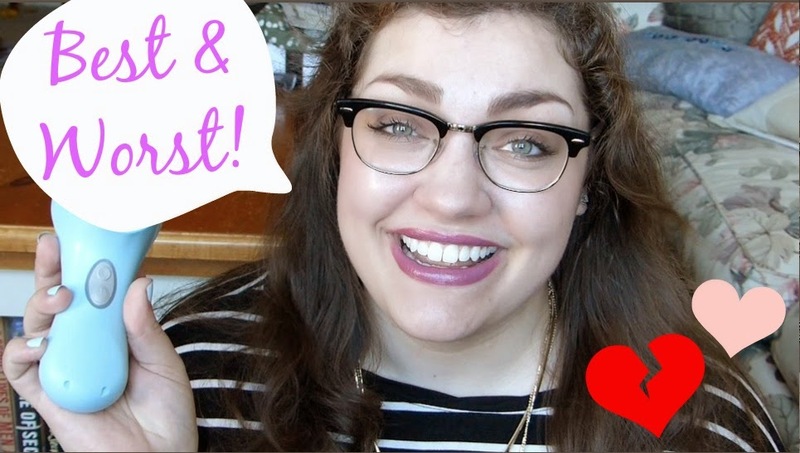 Thrift Thick: Best & Worst of Beauty: September '14! It's everybody's favorite time of month: monthly favorites time!! Was that sentence as annoying for you to read as it was for me to type? I love a good pun and everything but that was just… blech. Regardless, it really is that point in the month where everyone is going to be uploading/sharing their favorite beauty products for September; if you're interested in seeing what I've been loving (and loving not so much) then feel free to check out my pyramid style "Best & Worst of Beauty" video linked above! Shucks thank you as always Kate <3 And yup, I just use my Clean & Clean continuous control daily cleanser with it! How would you compare the Olay ProX to the Clairisonic? Are they even comparable? I'm pretty sure that you mentioned the ProX in a favorites video months ago, is it still impressive? For a History Undergrad the Clairisonic is a litttttttttttle steep! I'd love to know of a good dupe that isn't the price of a month's worth of groceries, haha!